For many Westerners, a diamond engagement ring is the go-to item for when you decide to pop the question. However, due to years of ad campaigns, the public believes a massive amount of misinformation about these sparkly stones. So let’s shatter a few of those beliefs, shall we? 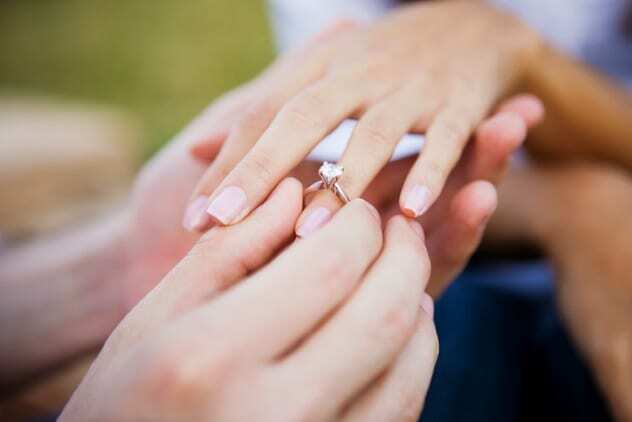 Given how almost 80 percent of couples in the United States today propose with a diamond ring, you would think that this is an old tradition. After all, it seems like we have been doing it forever. In actuality, while the giving of a ring is an old tradition going back to at least the Romans, diamonds are another story. Around 1900, almost no one proposed using diamond rings. It wasn’t until the DeBeers mining cartel was formed that diamonds came into play. In what was arguably one of the most successful marketing campaigns of all time, they connected diamonds with the purity of marriage. In their own words, “We are dealing with a problem in mass psychology. We seek to [ . . . ] strengthen the tradition of the diamond engagement ring—to make it a psychological necessity capable of competing successfully at the retail level with utility goods and services.” They even created a “Diamond Information Center” that promoted diamonds by making up articles about the history of diamonds. And you thought fake news was a new thing. It was so successful that within three months, sales of diamonds had risen by 50 percent. Oh yeah, that idea that you should spend several months’ worth of your salary on an engagement ring? Another DeBeers creation. “Diamonds are forever” is probably a saying that is ingrained in most people’s brains. This is actually a marketing ploy from DeBeers to get more people to buy diamonds. The truth is a bit more depressing. While it is true that diamonds are one of the hardest things in the world, that hardness comes at a price. Diamonds are actually rather brittle. Strike them at the right way and at the right strength, and they will split or chip. So just don’t be a butterfingers at your proposal, or you might have a very expensive mistake. Diamonds have another flaw that makes it very unlikely for them to see eternity. At its heart, a diamond is just a really pure piece of carbon. This is the same stuff as the graphite in your pencil or a block of wood. Just like graphite or wood, if you add enough heat and oxygen, diamonds will actually burn. 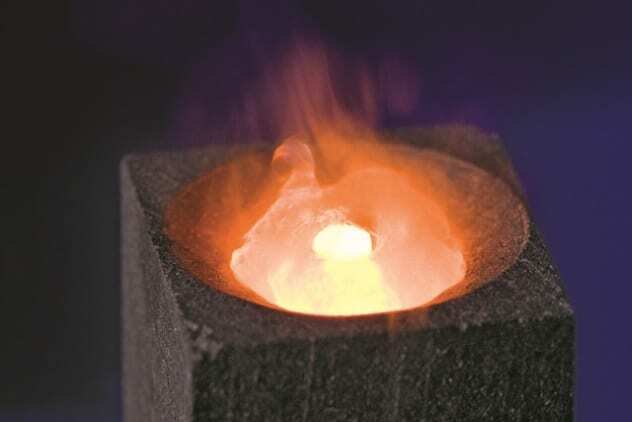 It takes a temperature of about 900 degrees Celsius (1,652 °F) to set a diamond on fire. This temperature is easily obtained with a propane torch or in a house fire. In fact, diamonds are such pure carbon that they will burn down to carbon dioxide gas, leaving not a speck of ash behind. When you think of diamonds, a pile of clear, glittering stones comes to mind. However, in the diamond world, these are the cheap stones. Diamonds come in a variety of colors, such as blue, yellow, black, brown, or the most valuable: pink. Almost all of these are rarer and more expensive than the colorless ones we are used to. 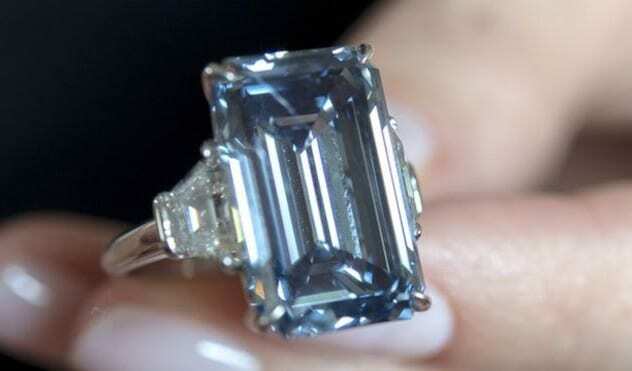 In fact, the one of the most expensive diamonds ever sold was a fancy, vivid blue diamond called the Oppenheimer Blue. It brought in a cool $57.5 million in 2016. Still, it’s nice to know that the cheap, clear stones are still being sold. We wouldn’t want the diamond merchants to lose the leases on their second vacation homes, would we? Another excuse that diamond sellers have for the jaw-dropping price tags on their wares is the “fact” that diamonds are a scarce commodity. After all, if something is rare, it’s expensive, right? In actuality, the only reason that we think of diamonds as rare is due to our old friends, the DeBeers corporation. For many decades, DeBeers had a monopoly on the diamond industry and could control how many diamonds were produced. This was a brilliant strategy to create rarity and jack up prices. Many other gems are actually much rarer then diamonds. In fact, there are enough diamonds for every person in the US to get their very own cupful. Although DeBeers no longer has a stranglehold on the diamond industry, the image that they spent so long cultivating still captures the imagination. Yet another myth that the DeBeers corporation has fostered upon us is that diamonds are a good store in value. You aren’t just wasting a couple of months of your life on a pretty stone; it’s a good investment. In reality, diamonds are just a retail good. Once you buy a diamond, its value drops by quite a bit. After all, you have to pay the seller’s fee, the miners, taxes, and so on. Basically everyone who touched the diamond before you has to get paid, and you won’t be able to recover that cost when you sell it. In general, there is a 100- to 200-percent markup on the price of a diamond, so expect that to evaporate the instant you buy it. The only reason why people ever thought that diamonds appreciate in value is because DeBeers used to fix the price of diamonds so that they went up every year. Without this meddling, diamonds hold their value at best. So, the bottom line is expect to lose most of the money you sunk into the stone if you try to sell it. Blood diamonds are more than a great action movie starring Leonardo DiCaprio. These stones, also known as conflict gems, basically come from the seedy parts of the world, especially in Africa. These gems provide income to warlords, criminals, and terrorists, while the people who mine them make a pittance. The United Nations did establish the Kimberly Process Certification Scheme, which aims to stop these abuses. However, loopholes and work-arounds make it difficult to enforce. After all, how do you tell if a shiny rock was mined legally from an area or illegally? Not to mention that the chain of custody stops at individual jewelers. The only way you can tell if your diamond is conflict-free or not is to trust the jeweler to buy certified stones and not the cheaper blood diamonds. 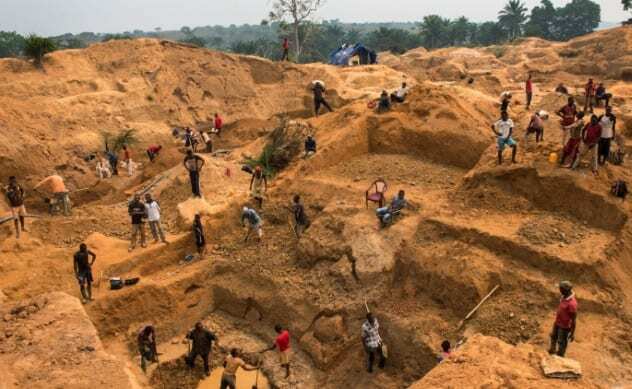 This means that a number of abuses still occur in the mining of diamonds, and the industry will probably have blood on its hands for quite some time. The shocking truth is that we can now make diamonds fairly easily in the lab. These stones are literally identical to the ones that are pulled from the Earth. They are so similar that even trained experts with years in the field cannot tell them apart. If the diamond growers wanted to, these artificial diamonds could flood the market with as many diamonds as anyone could ever want. Of course, they won’t because to do so would destroy the value of diamonds and lose them buckets of money, but that’s besides the point. Ask any kid what the hardest thing is, and thanks to the efforts of hundreds of jewelers, they will be able to quickly spout back “diamonds.” However, this is not true, or at least, it’s not true anymore. Diamonds were indeed recognized as the hardest mineral or naturally occurring crystal—until 2009. As scientists scoured the Earth, they figured out that not one but two rare minerals beat diamonds for hardness. 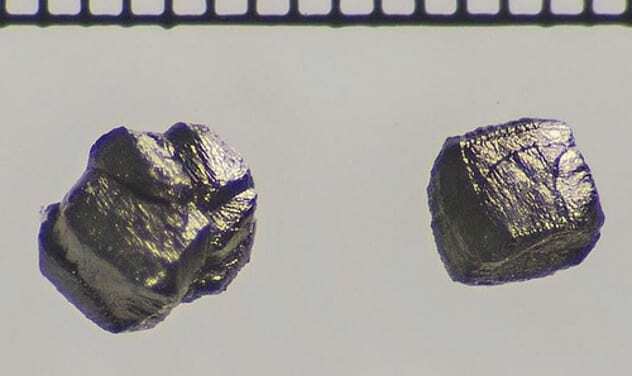 Wurtzite boron nitride has a similar structure to diamond, which lends it a similar hardness, but the different elements it is comprised of allow it to eke out a bit more, making it 18 percent harder than diamond. 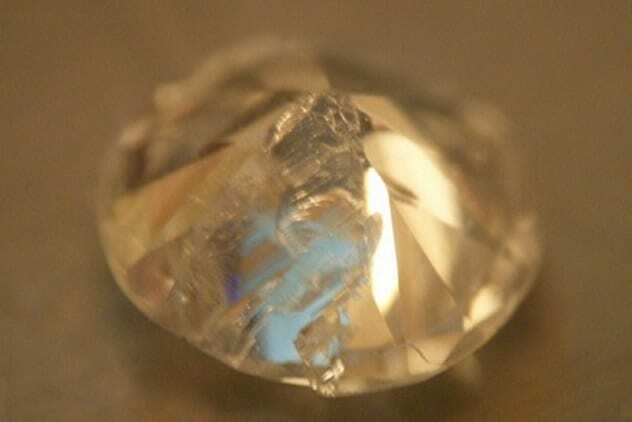 Scientists have also documented lonsdaleite, which, while chemically identical to diamond, has a different chemical structure, which makes it a whopping 58 percent harder. It’s safe to say that the king of hardness has definitely been overthrown. Oh, and the hardest synthetic material? Diamond lost that back in 2005. 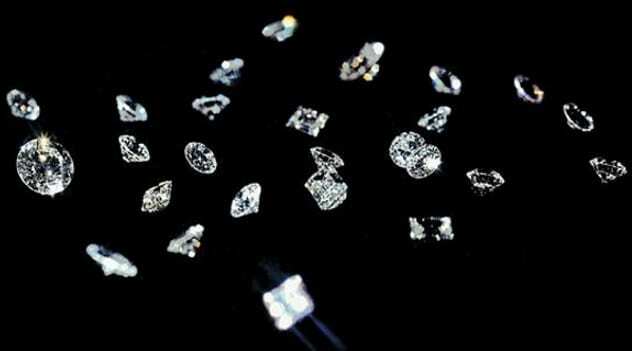 While natural diamonds are not overly rare as mentioned earlier, they certainly aren’t found in any great concentration in a given patch of rock. Because of this, the environmental impact of mining them can be immense. 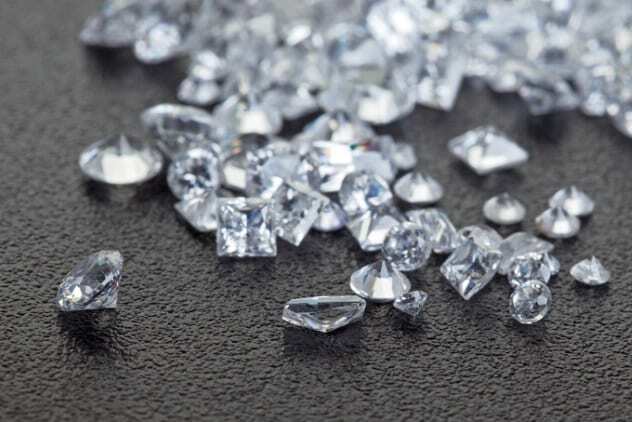 For every carat of diamond that is mined, 1,750 tons of rock has to be mined and discarded. For comparison, that is around 82 fully loaded school buses’ worth of rock. 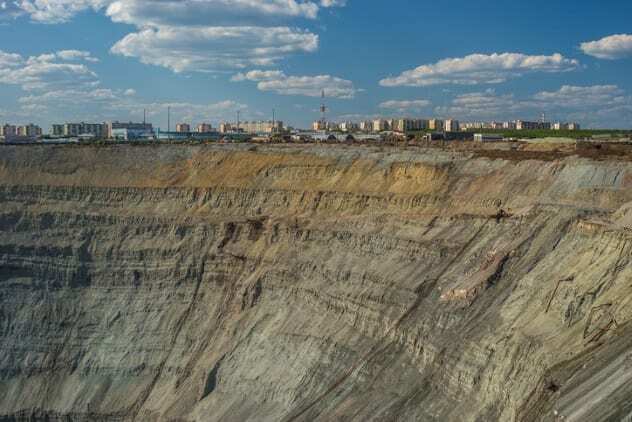 The most common way to mine for diamonds is called open-pit mining. This means they essentially dig a giant hole in the Earth hoping to find the diamonds. As diamonds are typically found in narrow veins called pipes, the vast majority of material pulled from the ground is waste. In addition, these mines can collect water which, then becomes acidic and kills aquatic life. If you care about the environment, getting a natural diamond is not the way to go. 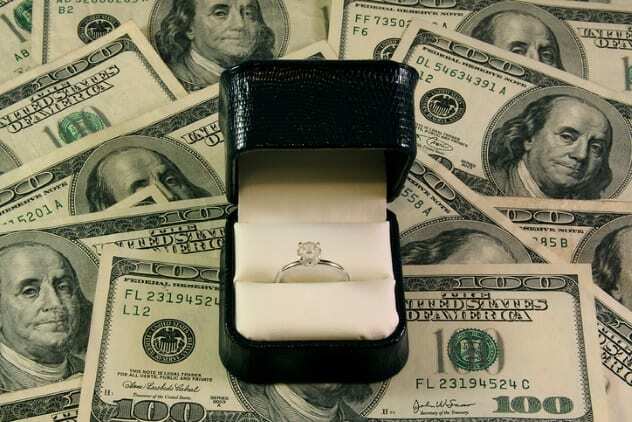 Recently, you may have seen advertisements for “Chocolate Diamonds.” While this may seem romantic, in actuality, it’s just another way the jewelers have come up with to milk money out of people. 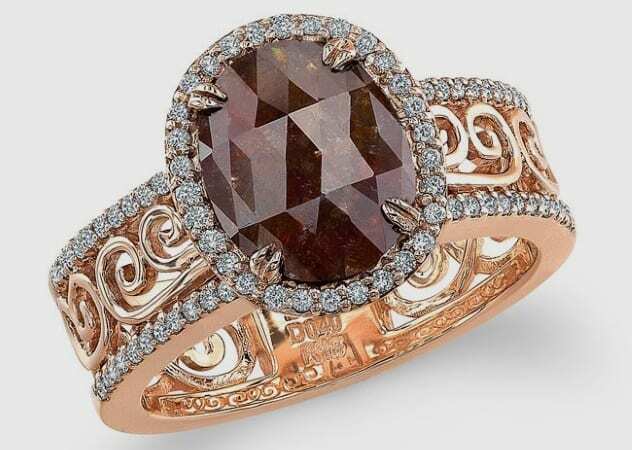 Chocolate diamonds are just brown diamonds. These are the most common diamonds, and up until the ad campaign, they were almost worthless. However, with a bit of rebranding, they are now being sold for the same price as other diamonds. Alex Emert is a science teacher who spent the last three years teaching among the Lakota Sioux tribe in South Dakota.